Mr. Kresl began his legal career as a prosecutor for the Seventeenth Judicial District, District Attorney’s office. He left the District Attorney’s office in 1996 and started a civil practice specializing in cases involving medicine, science, and health care. He has extensive litigation experience, having tried nearly 100 criminal and civil cases to jury verdict. Mr. Kresl provides litigation, business, contract, employment, and risk management support to the health care industry and health care practitioners. He also assists physicians and other professionals in peer review credentialing and licensing matters, as well as medical malpractice, medical device, and product liability claims. Mr. Kresl is a director on the Board for The Limb Preservation Foundation, providing legal assistance and volunteer activities to the foundation and its patients who have undergone amputation or other medical treatment in an effort to prevent loss of limb. He lectures at the University Of Colorado School of Medicine, and has been asked to serve as an expert witness on medical malpractice topics. 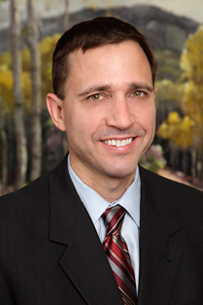 He is an AV® PreeminentTM Peer Review RatedSM attorney by Martindale-Hubbell® and has been selected as a SuperLawyer©, an honor reserved for the top five percent of Colorado attorneys.